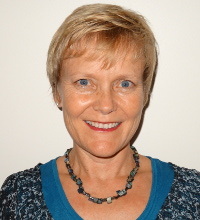 I am an experienced Speech and Language Therapist offering services to children in the Tauranga area. My practice, Words, is based in Omokoroa and Bethlehem. I qualified with a BSc Logopaedics from the University of Cape Town in 1990. Since then, I have helped hundreds of children develop and grow their communication and literacy skills. I have worked in a wide range of settings – first in South Africa, then the United Kingdom, and then with the New Zealand Ministry of Education for 18 years from 1997 to 2015. I am Hanen-trained and certified to deliver It Takes Two to Talk, More Than Words and the Learning Language and Loving It and Teacher Talk programmes. I am trained in the Lidcombe approach to help young children who stutter, and the Camperdown programme for adult and adolescent stutterers. Speech clarity – whether it is immature speech sound development, a speech sound disorder or Childhood Apraxia of Speech, I have a wealth of experience in helping children to be able to talk clearly and make themselves understood. Receptive and expressive language – this includes vocabulary and grammatical development, and the ability to use and understand language to function successfully and interact with others. Phonological awareness – awareness of the sound structure of words is an important predictor of reading ability. I can help pre-school children develop phonological awareness skills, and work with school-age children who are experiencing difficulties with literacy acquisition to assist with this vital building block for literacy. Stuttering – very young children usually respond well to a parent-led approach which I can implement with you. Older children may need to learn to control their stuttering and build confidence in their speech ability. Voice – children with persistent hoarseness may damage their vocal chords and need to learn new habits in order to look after their voice. Please contact me to discuss any concerns you may have about your child’s communication skills and literacy development, and how I can help.